Holds MLTB (Summer) certificate and has attended the assessors workshop and the MLTB (Winter) training. Holds current First Aid certificate and practices regularly. Accredited Duke of Edinburghs Award expedition assessor for Bronze, Silver and Gold expeditions. Has experience leading commercial walking groups for YHA and has assisted supervision of D of E expeditions and residential in Malawi. He has worked on personal development courses for World Challenge in the UK and Led on their school expeditions to Namibia, Botswana, Zambia, Kerala, Rajasthan and Himachal Pradesh. He has also led school educational walks for Dartmoor National Park and Bellever Youth Hostel. Assesses Mountain Leaders for Devon County Scouts and currently Assistant District Commissioner (Development) for Teignbridge Scouts. 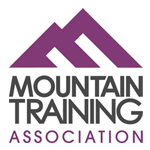 Member of the Mountain Leader Training Association. Adrian also acts as steersman on the 12 man canoes operated by Canoe Adventures on the tidal River Dart. A Dartmoor National Park walking guide and founder member of “Moorland Guides”. Adrian has climbed around 200 “Munro’s” in winter conditions and has experience of most National Parks in England and Wales. He has been hillwalking for over 40 years, having completed 5 Ten Tors events when young. He has been involved in training scouts for the Ten Tors event for most of the last 20 years. He has also completed 14 Long Distance Walkers Association 100 mile events and has also completed several of his own in the same format. Has completed MLTB (summer) training and holds the Hill and Moorland Leader award. She has also passed the Expedition Skills Module. Past member of Dartmoor Rescue Group with over ten years experience. Widely traveled having worked as tour guide in number of locations worldwide including 4 years in the Austrian ski resorts. Holds a degree in Geography. Suzanne assists Adrian when dealing with larger groups. Adrian and Suzanne have 6 children and live in South Devon.